Protasis gladly presents the third CD of the very successful series “Great Performers”. 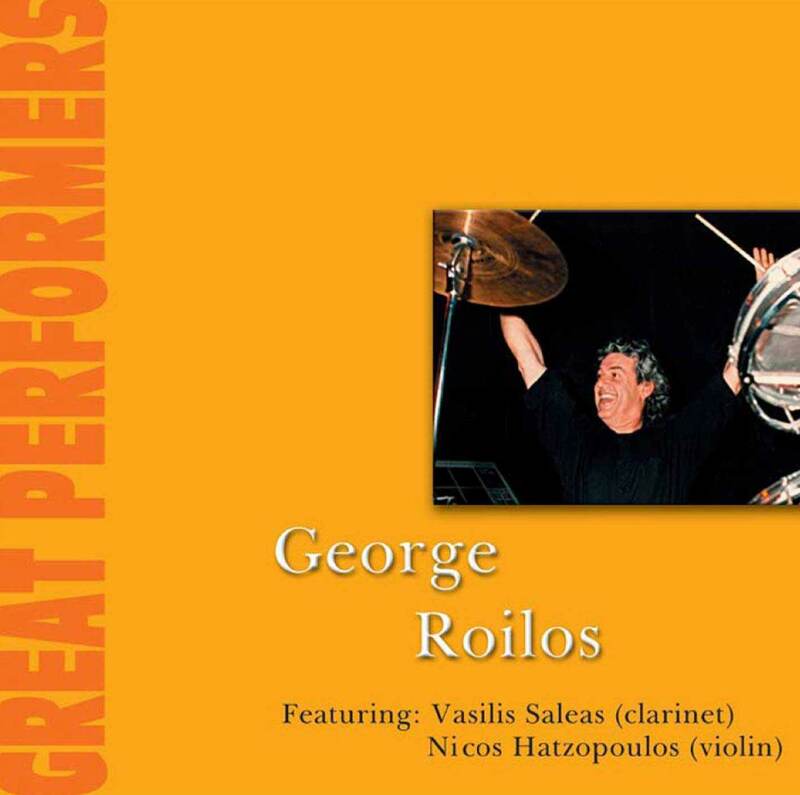 After Manolis Karantinis in the Bouzuki, and Panagiotis Plastiras in the clarinet, a CD with the “wizard” of percussion, George Roilos. Seven compositions of himself, that reveal his unique talent and skill. Established musicians are also involved in this work, mentioning Vasilis Saleas in the clarinet and Nikos Xatzopoulos in the violin. In the booklet of the CD there are rare photos of George Roilos, from his presence in the Greek and universal music scene, all these years.